An informative and fun-filled afternoon learning about medicinal plants & oils for topical use. Making an herbal oil, cream, salve & lip gloss with recipes to make more! 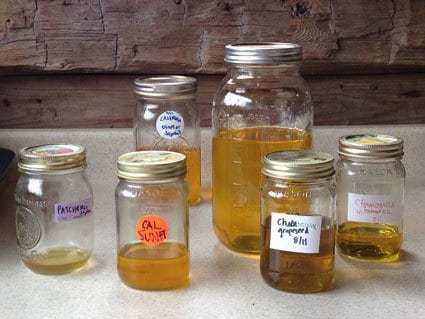 You will learn some favorite medicinal herbs & oils, how to wildcraft plants, 2 oil infusion methods, how to make salves, creams & lip gloss from infused oils. A favorite workshop offered twice/year – in late fall before the gift-giving winter holiday season and in the spring when the early spring creativity bug sets in! This workshop will be posted on our events calendar and announced on our email list. Click here to signup for alerts.